SlotsMagic Casino is an online and mobile casino that offers over 650 games, including an impressive range of high-quality slots, virtual table and card games, video poker and premium live dealer gaming. Established in 2014, SlotsMagic is licensed in Malta, the UK and Denmark. The casino is powered by popular SkillOnNet, one of the leading casino software providers, and features a multilingual platform and several player-friendly features. Delivering a truly authentic real-world gambling experience online, SlotsMagic’s live casino offers the most popular table games powered by three of the industry’s top live casino gaming operators: Evolution Gaming, XPro Gaming and Extreme Live Gaming (Novomatic Group). Each brand provides players with different tables where you’ll be treated to a friendly, prestigious and realistic atmosphere. 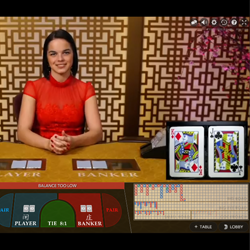 The games, which include Live Hold’em and variations of Live Roulette, Live Baccarat, and Live Blackjack, are hosted by actual professional human croupiers (most of whom are beautiful women) with whom you can chat and interact. The games take place in a land-based gambling studio and are broadcasted in HD and in real-time. Slotsmagic’s virtual games library is extensive and highly varied. There are over 650+ games and counting from a wide range of incredible software providers. Spin the reels of the best slots from NetEnt, Microgaming, WMS, NextGen, Amaya, GVG, Bally Technologies, Barcrest, and Merkur. Enjoy a large selection of top-rated slots including classic titles, multiline video slots, exclusive 3D slots from SkillOnNet and popular branded games. You can even try your luck at winning a life-changing sum by playing for progressive jackpots. Beyond slots, the casino invites you to play their single or multi-hand Video Poker variants or to test your skills at an array of table and card games. You’ll find multiple variations of Blackjack, Roulette and Poker among other classics like Baccarat, Punto Banco, Craps, Casino War and more. For players who like to enjoy less ordinary casino entertainment, there are also a few arcade-style games, such as The Big Wheel and Hi-Lo. And remember, all winnings on the free spins are wagering free, you can withdraw them any time, no strings attached! And on top of that withdrawals are processed at SlotsMagic within 11 hours including on weekend. Customer support at SlotsMagic is multilingual and available 24 hours a day, 7 days a week. There are three easy ways in which you can contact the professional and friendly staff: email, live chat and telephone. All payment options at SlotsMagic are fast, reputable and secure. The casino offers a large number of banking solutions, including certain methods that are country-specific. The major payment methods include: Visa, MasterCard, Neteller, Skrill, Paysafecard and wire transfer. Cashing out is a convenient and fast process at SlotsMagic Casino. Withdrawals using eWallets (Skrill, Neteller, Paysafecard, etc.) occur on the same day, while credit/debit cards (Visa, MasterCard, etc.) and Wire Transfers take between 2 and 7 business days. A fantastic live casino and an overall superb iGaming destination, SlotsMagic.com puts their players first by providing them with a spectacular online and mobile casino games experience, backed by 24/7 multilingual customer support and outstanding player-friendly features. These include same day cashouts, low wagering on bonuses (only 25x), no wagering on free spins, and no wagering on VIP points converted into cash! These features are the real advantage to playing at SlotsMagic and are what make this casino stand out from the crowd.